This album is fully instrumental. It’s a great disc, too. Some of the music here has appeared elsewhere (although most of the time in different arrangements). 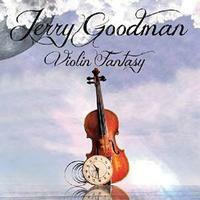 Jerry Goodman is best known for his work in Mahavishnu Orchestra among others. His violin work is legendary. This music lands most often near classical music, but there are jazz things and definite prog. Many of the songs are treatments of other people’s songs. Some are originally. Among the other musicians here are current or former members of Nektar, Hawkwind and Yes. This album is different. It’s also strong. This metallic song, brought into this symphonic arrangement is amazing. It’s like an ominous piece of soundtrack music. It’s cool stuff for sure. There is a bit more of a rock vibe to this. Yet, in terms of instrumentation it’s more classical. There is a definite sense of adventure here. The “alternate mix” label here refers to the version released on a recent Nektar album. Yes, it’s a cover of the song by Gary Wright. It’s also a very strong instrumental rendition. This features both Ron Howden and Roy Albrighton of Nektar along with several other musicians. An alternate version from the one that appeared on a recent Who tribute album, this again is recorded with Nektar. It’s bombastic and powerful. At the same time it’s proggy and symphonic in nature. The lineup on this song is the same as that on the previous number. The violin really gets put through its paces here. This is a real powerhouse jam. It’s quite classical in nature, but also rocks like crazy. It’s more classy music on a classy album. 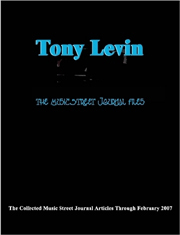 This cut features both Billy Sherwood and Tony Levin. This has some amazing music built into it. It’s a real powerhouse jam. In fact, it’s one of my favorites here. The violin creates some things that resemble space rock at times. The whole thing just soars and is pure prog overall, though. There is a mellower, slow moving jam later that has some great modern prog elements in place. Here is an instrumental take on the David Essex classic. This is one of the more classically oriented pieces. It’s intriguing and works well. It gets quite bombastic at times. Here we get a version of the Phil Collins song. I like this one a lot. In this neo-classically styled arrangement, it really takes on a completely different sound. I like this mostly classical treatment of the Journey song. The violin really works well at carrying some of the vocals. Featuring both Rick Wakeman and Billy Sherwood, this is very much the kind of thing that one expects from Sherwood, really. Wakeman gets a chance to really shine mid-track. Sherwood’s guitar sound is impeccable. Of course, Goodman’s violin is also classy as always. Nik Turner provides some saxophone to the piece, as well. There are definitely plenty of elements of the kind of fusion Goodman did with Mahavishnu Orchestra. This originally came from the Fusion Syndicate album. Here we get Goodman’s treatment of the Survivor song. I love the jazzy kind of vibe that it takes on here. The song is kind of a tired one, but this arrangement breathes new life into it. The closer takes on the Europe song. I love the symphonic bombast at the start. I dig this classical meets folk rock version of the tune.